This $90 add-on makes clever use of ... ultrasound? 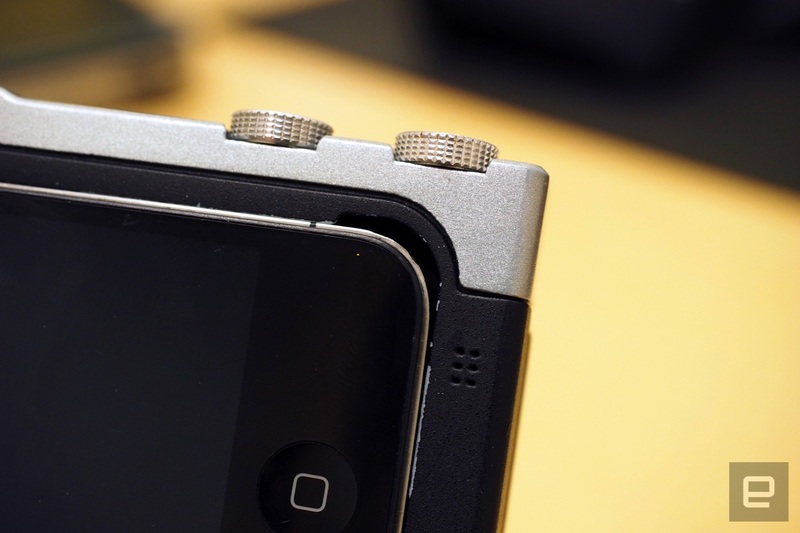 There's no shortage of accessories that promise to turn iPhones into better cameras. But truly useful ones? Those can be hard to come by. Even so, Miggo, a startup best known for its SLR accessories, thinks it's onto something with its $90 retro-styled camera grip. 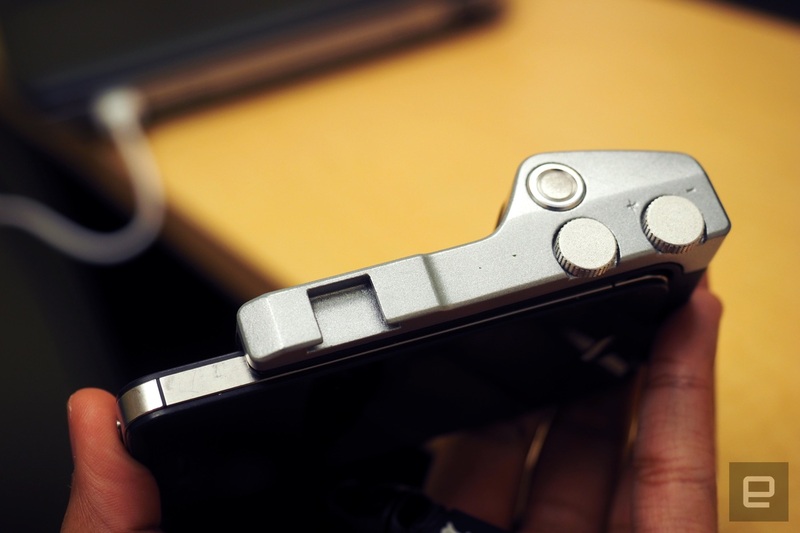 It's called the Pictar, and it gives the iPhone 4 and up (except the 6 Plus and 6s Plus) the sort of physical controls that camera buffs just might go nuts over. Curiously, you won't find a Bluetooth transmitter or Lightning connector here. It instead communicates with the iPhone using ultrasound, a seemingly peculiar approach that's actually rather clever. Each action (think zooming, taking a photo, tweaking your ISO and more) is tied to a specific high-frequency tone. With the Pictar app installed, the phone listens for those tones and does what it's told. More importantly, the team says the combination of inaudible sound and an algorithm that tells the iPhone when to listen for it enables a shooting experience that won't burn through your battery. Unlike, say, the LG G5's Cam Plus add-on, the Pictar does an impressive job of replicating the manual controls of a proper SLR. In addition to a two-stage shutter button, there are three physical dials: a zoom ring on the front (just under the shutter button), an exposure compensation wheel and a scene-select dial for switching between presets like Sports and Landscape mode. Thankfully, it's fairly simple to re-map those wheels if you want more nuance: The version I played with was decidedly not finished, but I could still change those two dials to let me fiddle with white balance and shutter speed. Throw in a cold shoe for accessories and a standard tripod mount and you've got a surprisingly well-thought-out little package. Physically, the Pictar grip itself is lightweight, and fans of proper cameras will adapt to the control layout quickly. 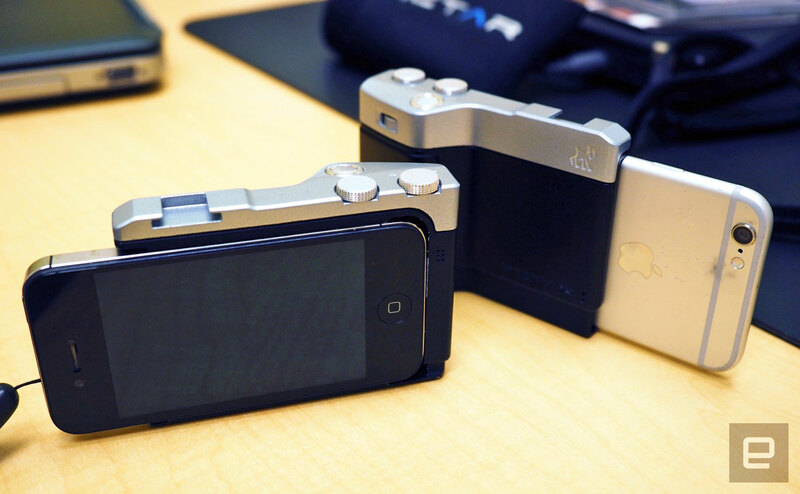 It's actually pretty too, with the sort of silver-and-black design that you might see on an old-school Nikon or Olympus. But you probably won't be squeezing this thing into your pockets: Its dimensions give it enough room for an easily replaceable AA battery (expect six to eight months of use off a single cell). That's not to say it doesn't need a little more finessing before launch, though. There was a brief delay when trying to focus and snap a photo on the preproduction model, which I'm told was an issue with unfinished software. Apple doesn't allow developers to leave an iPhone's microphone on indefinitely, so the Pictar app periodically prompts it to listen for the grip's telltale tones. At this early stage, it seemed like the microphone wasn't listening as often as it should've been, but a Pictar spokesperson says the team is still doing some algorithmic fine-tuning. If Miggo manages to iron out its software issues and polish up the chassis a bit, the company might have a promising future making more than camera bags.